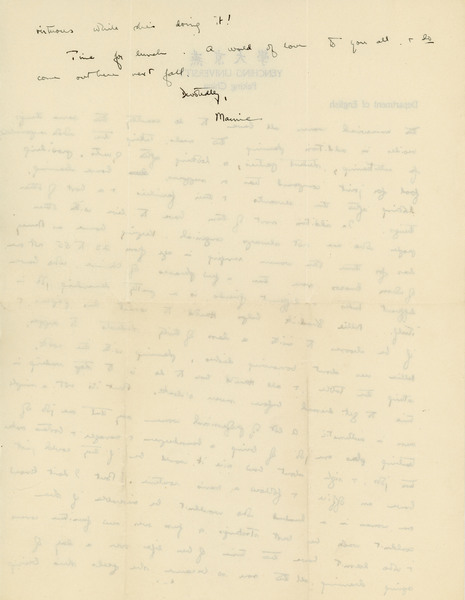 Speer, Margaret Bailey. 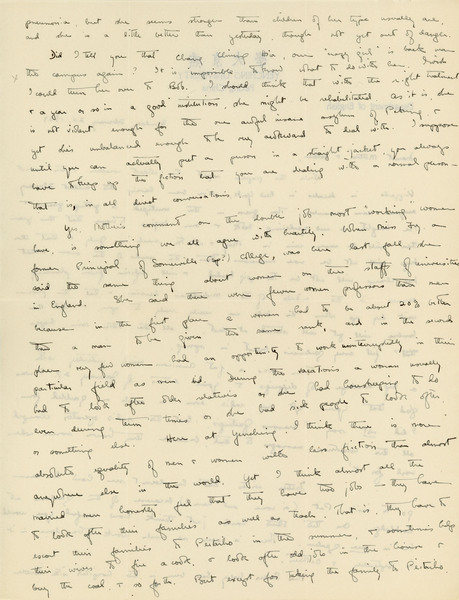 "Letter to Robert Elliott Speer and Emma Bailey Speer, 25 February 1934." 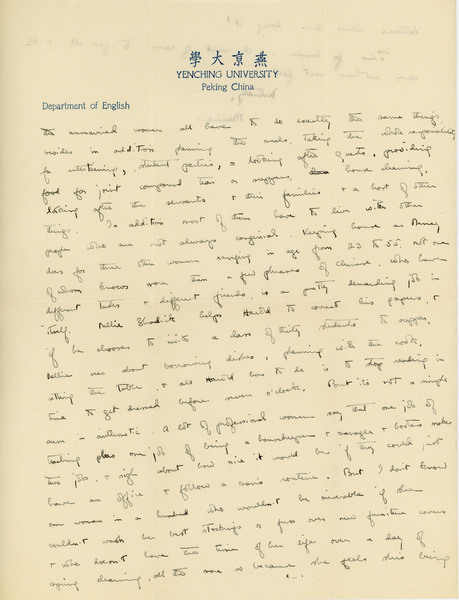 Speer Family Papers, Special Collections Department, Bryn Mawr College Library. 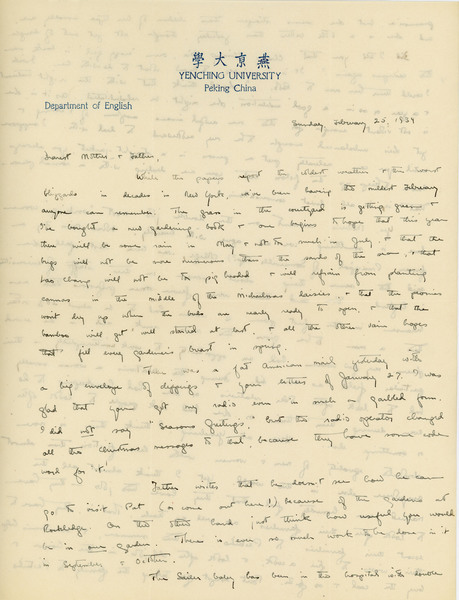 Speer, Margaret Bailey, “Letter to Robert Elliott Speer and Emma Bailey Speer, 25 February 1934,” The Albert M. Greenfield Digital Center for the History of Women's Education, accessed April 24, 2019, http://greenfield.brynmawr.edu/items/show/642.